Children and technology are practically inseparable these days. Whether for educational purposes or just fun, children are spending a good portion of their day on "screen time" — staring at the LED screens of computers, tablets, smartphones and other digital devices. According to Common Sense Media, children under age 8 now spend more than two hours a day with screen media. For 8- to 10-year-olds, screen time triples to six hours a day. And it's not unusual for kids in middle school and high school to spend up to nine hours per day looking at digital displays. If you're wondering if all this screen time might cause problems for your child's eyes and vision, the short answer is, "yes, it does." Too much unsupervised computer work may cause vision problems for kids. Computer vision syndrome (CVS) — also called digital eye strain — is a condition that's caused by visual stress and has a combination of symptoms, including fluctuating vision, tired eyes, dry eyes, headache and fatigue. Other non-visual symptoms of CVS include neck, back and shoulder pain. When using a computer or digital device for prolonged periods, it's common to start slouching inward, rounding the back and shoulders, and then tilt the head back and jut the chin forward. This unnatural (and unhealthy) posture — called "turtling" — leads to many of the non-visual symptoms of computer vision syndrome. Vision researchers believe increased screen time among children is a significant risk factor for the development and progression of nearsightedness (also called myopia). The prevalence of myopia has grown significantly in the last few decades and this trend coincides with the increased use of computers and digital devices by children. High-energy visible light called blue light is emitted by the LED screens of computers, tablets, smartphones and other digital devices. Although the most significant source of blue light exposure is natural sunlight, many researchers and eye doctors are concerned that the added blue light exposure from computers and digital devices might increase a person's risk of age-related eye diseases like macular degeneration later in life. Digital devices such as tablets can cause eye strain in kids, so monitor their use as well as that of desktops and laptops. It's unrealistic to think that children will stop using modern technology. Thankfully, there are some easy things you can do to decrease your child's risk of eye and vision problems from prolonged use of computers and digital devices. It may sound simplistic, but one of the best things you can do for your child is to get them to follow the "20-20-20" rule — every 20 minutes, take your eyes off your screen and look at something that's at least 20 feet away for at least 20 seconds. This simple task relaxes the focusing and eye alignment muscles, reducing the risk of many of the symptoms of digital eye strain. The 20-20-20 rule also might decrease the risk of myopia progression. Some research suggests focusing fatigue may be associated with the onset and worsening of myopia. Taking frequent breaks from staring at digital screens helps reduce this fatigue. Currently, no one knows for sure how damaging the added exposure to blue light emitted by computers and digital devices might be to a child's eyes over time. It may take researchers decades to sort that out. In the meantime, it's prudent to protect your child's eye from blue light from both sunlight and digital devices. Outdoors, polarized sunglasses offer the best protection from glare and blue light, blocking roughly 90 percent or more of the sun's harmful blue light. For indoor and outdoor wear,	photochromic lenses such as Transitions lenses (Essilor) are an excellent choice. Transitions Signature lenses block 1.4 times more harmful blue light indoors than a basic clear lens, and they filter more than 8 times more harmful blue light outdoors than clear lenses. Transitions XTRActive lenses filter at least 2 times more harmful blue light indoors than clear lenses, and 8 times more harmful blue light outdoors. For indoor wear, eyeglass lenses with an integrated blue light filter are a good choice. Examples include BluTech lenses (BluTech, LLC), which block up to 59 percent of harmful blue light, and Eyezen lenses (Essilor), which block at least 20 percent. Be aware that different eyeglass lens companies may measure blue light filtration properties differently, and lenses with the most effective blue light filters have a tint that will affect the appearance of these lenses. Finally, certain	anti-reflective coatings can help eyeglass lenses filter blue light. One example is Crizal Prevencia (Essilor), which blocks at least 20 percent harmful blue light. The American Academy of Pediatrics advises parents to establish media-free times each day to break their children’s fixation on digital device and spend time to connect as a family. These times have the added benefit of reducing eye fatigue and blue light exposure. Finally, schedule a comprehensive eye exam for your children prior to the start of every school year. 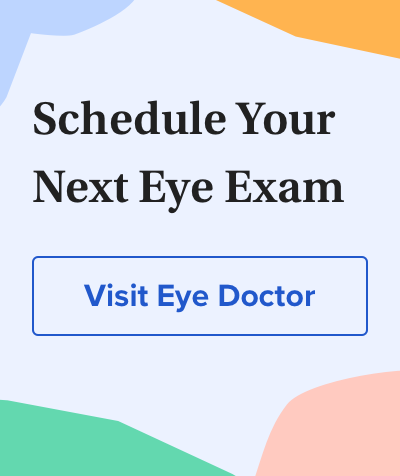 In addition to making sure your child's eyes are healthy and seeing well, your eye doctor can perform special tests and provide specific suggestions to reduce the risk and symptoms of computer eye strain. Children and technology are the future. Taking these simple measures can go a long way toward keeping your tech-savvy child seeing clearly and comfortably for years to come. Digital devices: Bad for kids' eyes? Learn the risks of spending too much time staring at screens. Children's eye exams Facts about eye exams for kids and when to schedule them. Screen time vs. lean time infographic. Centers for Disease Control and Prevention. www.cdc.gov/nccdphp/dnpao/multimedia/infographics/getmoving.html. January 2018. The Common Sense census: Media use by kids age zero to eight. Common Sense Media. https://www.commonsensemedia.org/research/the-common-sense-census-media-use-by-kids-age-zero-to-eight-2017. October 2017. American Academy of Pediatrics announces new recommendations for children's media use. American Academy of Pediatrics. www.aap.org/en-us/about-the-aap/aap-press-room/Pages/American-Academy-of-Pediatrics-Announces-New-Recommendations-for-Childrens-Media-Use.aspx. October 2016.